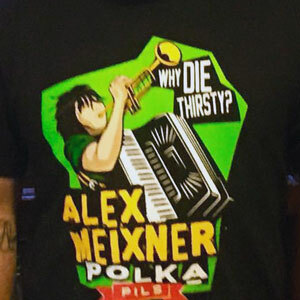 By Popular Demand! 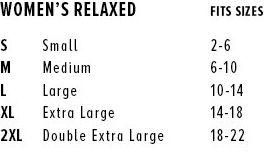 Now in a V-Neck, too! 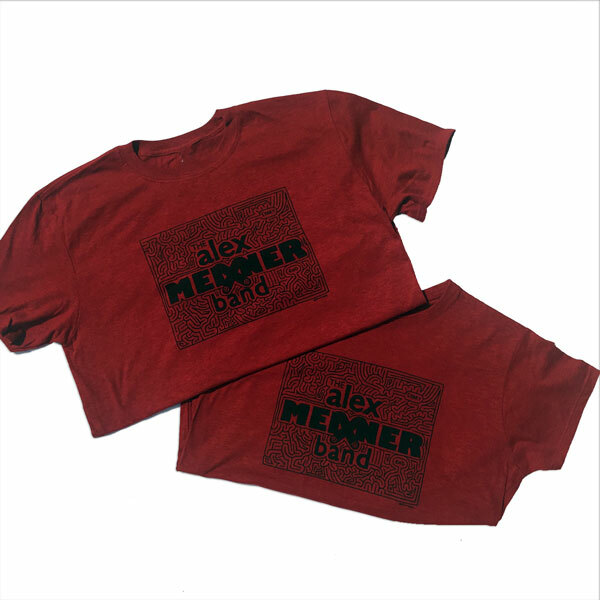 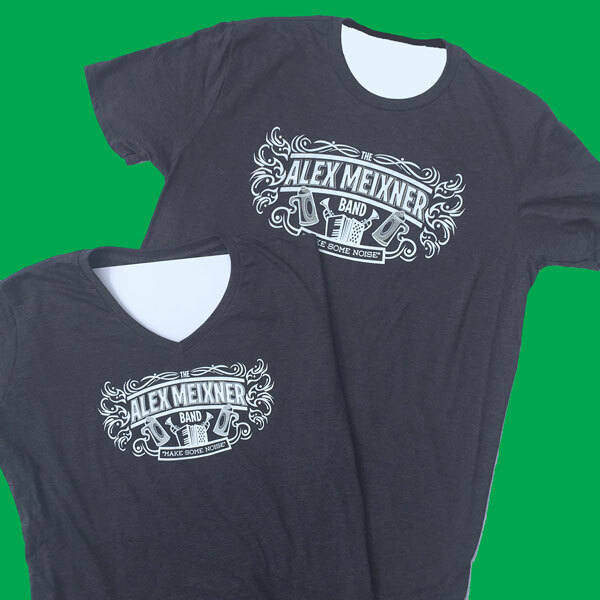 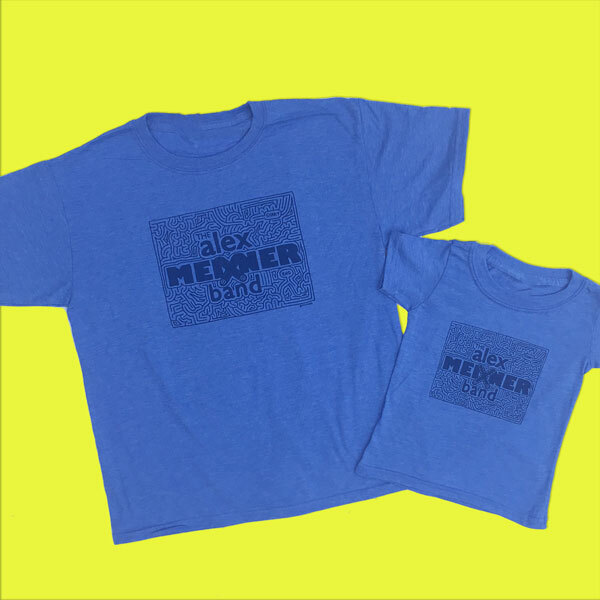 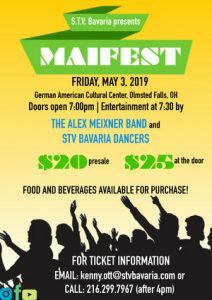 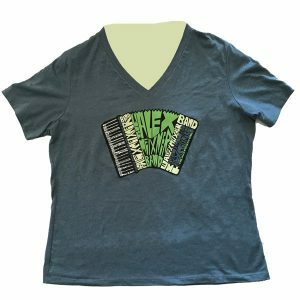 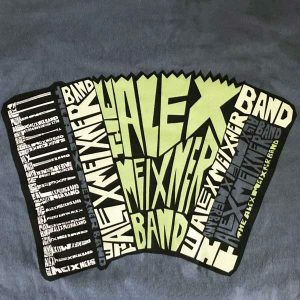 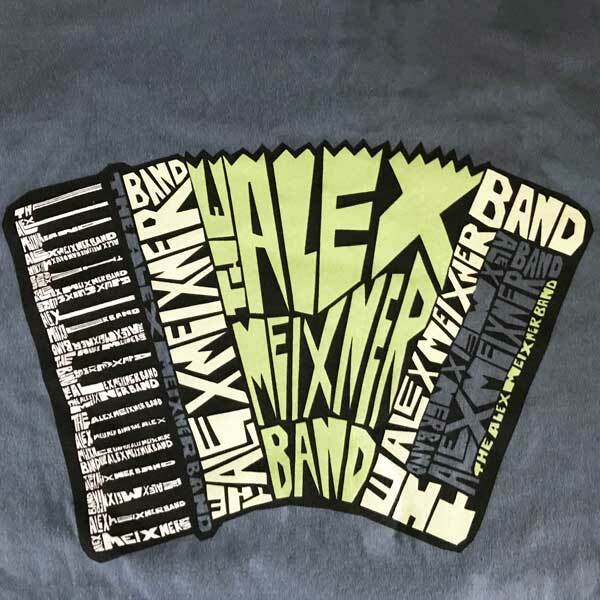 The latest AMB shirt features the accordion from the back of the Alex Meixner Band album “Make Some Noise.” Artwork created by Nathan Diffee.